The silence in my blog has been resonating between your computer and mine. I think this is the longest time that I haven't written anything for more than a week from the time I started writing here three years ago. If it's strange for you not to see anything new, it is very strange for me too. But don't worry, nothing drastic happened. I am just enjoying my vacation with my family and I am putting it as my priority for now until I return to Italy next month when reality will set foot again. I hope you have been following me in my social network accounts where I have been continuously sharing photos of food and travel here in the Philippines. But let's speak about baby back ribs. It's a big favorite here in the Philippines as I've noticed it being present in the majority of restaurant menus now. Back in the day, I remember that only few restaurants (maybe just one even!) were serving them. I guess over the years, its popularity overtook everyone and with a reshuffling of favorites in the restaurant menus, it became one of the mainstays. The fact is, if they are cooked until fork tender and the sauce is right, well, what can I say? Let's dig in and enjoy! 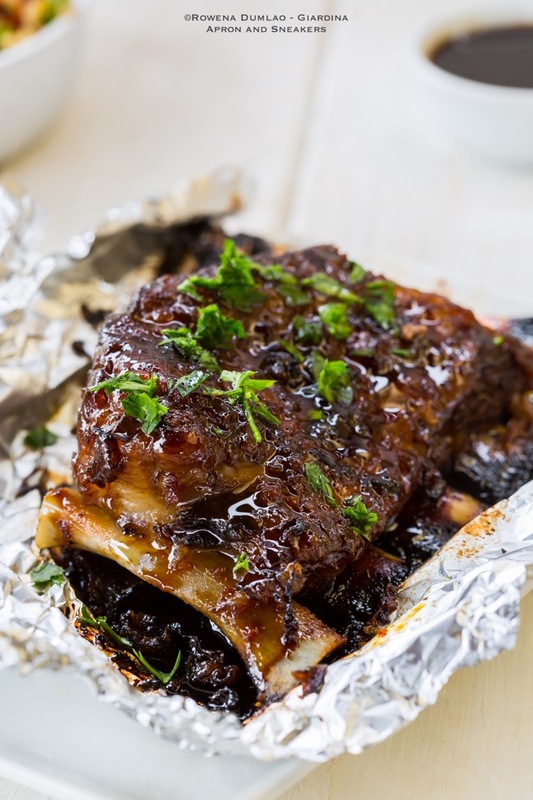 Baby back ribs in Italy is non-existent unless you go to some American chain of restaurants or perhaps an isolated menu entry in a fusion-style restaurant. The bottom line is, if you want to have a fix of these tender ribs, make your own at home which I learned to do. I wanted to make something non-barbecue for my own version so I went for what I have in the kitchen. 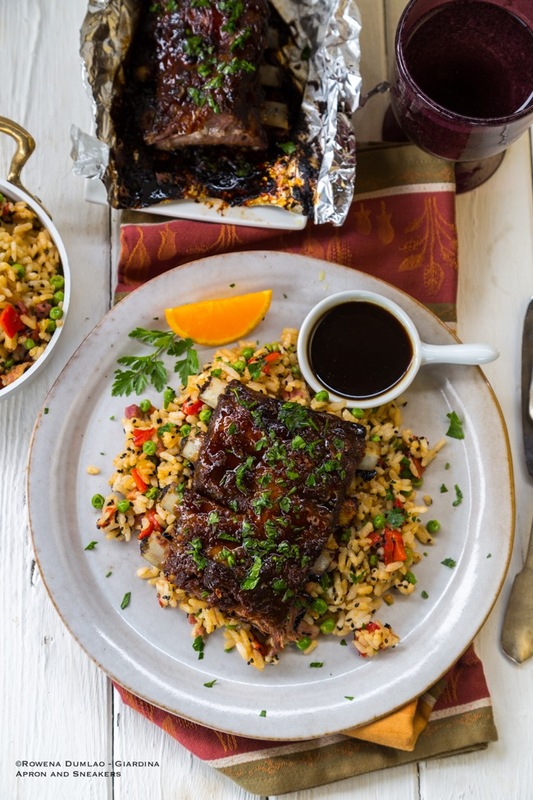 I love using fresh ingredients and I think freshly-squeezed orange juice is a perfect company to the ribs. With the addition of soy sauce and ginger, the overall taste is simply good. 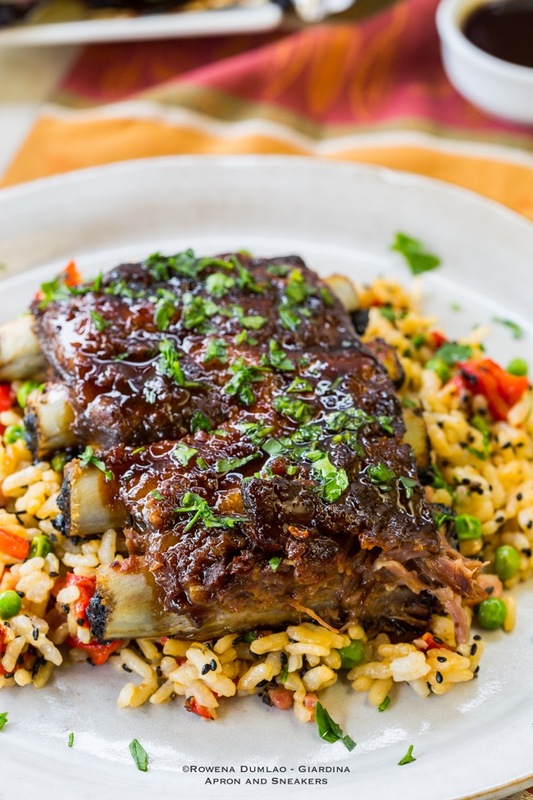 And being Asian-style, I accompanied it mixed rice of veggies and the the same orange-soy sauce of the ribs. The verdict? I think you should try it. You might just love it like we did at home. 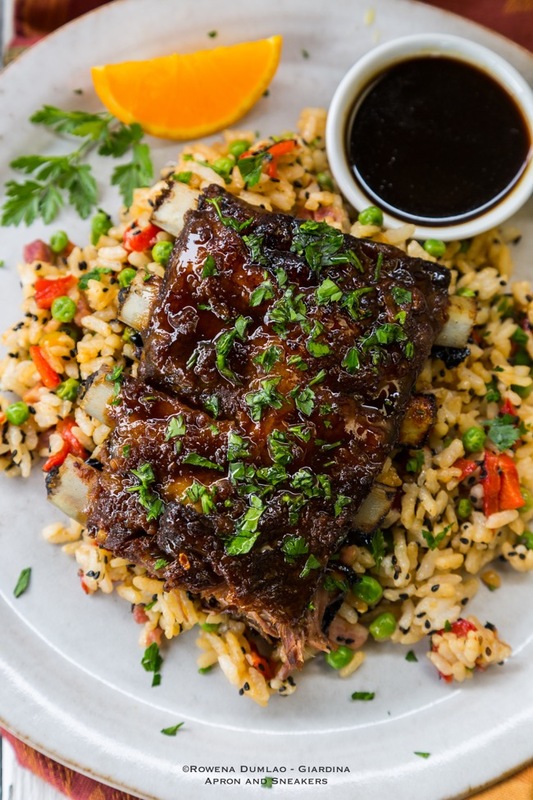 If you are ready to make this Oven-Baked Orange-Soy Pork Ribs recipe, hop on over to She Knows where I regularly create recipes. If you want to check out my other recipes there, please click on my Profile Page there. Thanks and have a wonderful week!